On Wednesday, 5th December we welcome Revd Elizabeth Cushion. 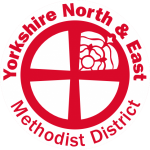 Elizabeth is a minister in the York Methodist Circuit who joined us this September from the Newcastle West Circuit. On Wednesday, 12th December we welcome Revd Matthew Porter. Matthew is vicar of St Michael-le-Belfrey Church of England. On Wednesday, 19th December, we welcome Nicky Gladstone. Nicky has recently started work as project leader at Carecent, the project for the homeless which is based here at Central. The talks all start at 12.45 and a light lunch is provided in the hall from 11.45 if you’re able to come early. Everyone is welcome. This entry was posted in Uncategorised by Paul Carter. Bookmark the permalink.